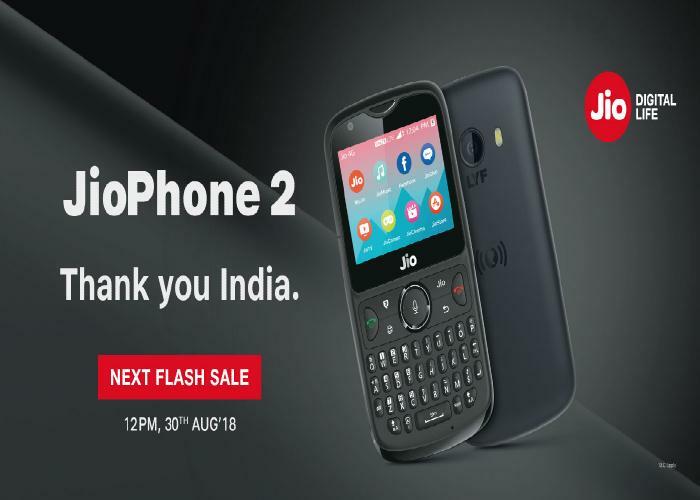 Reliance JioPhone 2 went on its first flash sale on 16th August at 12PM on Jio.com, but the handset went out of stock soon after it became available. Some users who were able to reach the ‘Add to cart’ stage received the message ‘Page under maintenance’. It was a lasted only a few minutes flash sale. As for the next JioPhone 2 sales on 30th August at 12PM and it will be hosted only on official website the Jio.com. To recall, the first feature phone from the company, JioPhone comes with an effective cost of rupees 0. For that customers need deposit rupees 1500 for JioPhone which will be refunded to them. On the other hand the company has not yet announced any such scheme with the JioPhone 2. The new JioPhone 2 is priced at rupees 2999 and it will be able to purchase at the above-specified date via Jio.com.